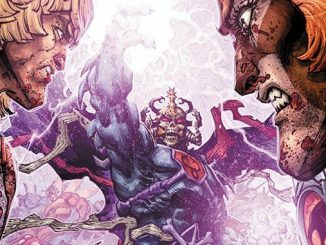 Jeremy Colwell is one of the best colorists working today in the comic book industry. 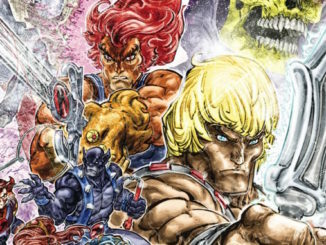 We recently had a chance to talk with Jeremy about his exciting new work on the popular He-Man/ThunderCats comic book series from DC Comics. 1. It seems like there’s no one way to break into comics. What’s your comic book colorist origin story? First off, thanks for asking me to do this interview. 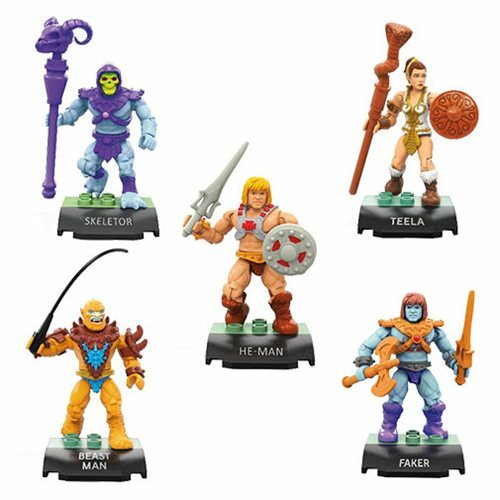 I appreciate all of the support I’ve received from the He-Man fan communities! My path to becoming a professional comic colorist was actually very smooth and drama free. I was an inker in the indie comic scene with aspirations of going big two (Marvel and DC). I had good friends in the industry and decent ability but it just wasn’t happening. After a bit of internal assessment I decided to use my college education as an oil painter and see if I could maybe go farther as a colorist. Obviously I did. I caught the eye of people online and got small work but my biggest break came from my friend, Ron Randall, who was going to start up his property, Trekker, again. He saw my stuff I’d taken to Emerald City Comic Con and thought my painterly and subdued style would be a good fit. It just built from there. I humbly credit my relationships with other artists with the growth of my career–most recently with Freddie Williams II who brought me on for Batman/TMNT and now He-Man/Thundercats. 2. 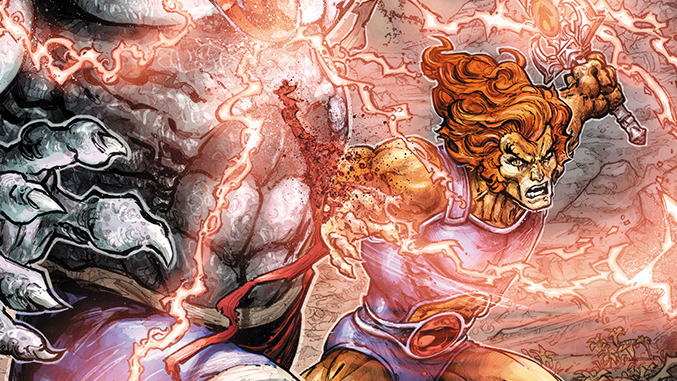 “He-Man/Thundercats” #1 had a lot of exciting cameos and references for fans of both franchises. Were you a fan of either before you signed onto this project? I grew up with both franchises on TV, so it was fun to be able to play in their sandboxes. Freddie is a major fan and puts so much into the books that he wants to see and knows other fans will enjoy, too. We talked on the phone prior to this series coming together and his enthusiasm for it was infectious. 3. 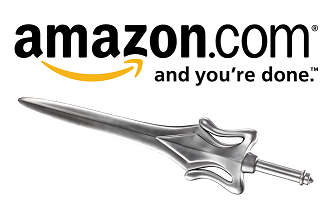 How much creative “wiggle room” are you given with big-name properties like Batman or He-Man? Are you given much direction in the scripts regarding the color palate? I am happy with the amount of wiggle room they give me. Freddie and I work very closely on the color aspects of the book. He has a great eye and is very reliable to communicate clearly what he’s looking for in the art. I have great leeway in many of the color decisions though. The scripts and Mattel have some specific “on model” needs, but so far it’s been a rewarding and work situation. 4. Comic book coloring has been an underappreciated aspect of the medium for a long time, but it seems like it’s been getting more attention lately. For the uninitiated, how would you explain the importance of what you do? I like to think of coloring as similar to a movie soundtrack. We get to add a lot of the emotional oomph to the story. I tend to be more subtle in my emotional coloring, leaning more towards the realism side of the spectrum. It’s just my style I guess. 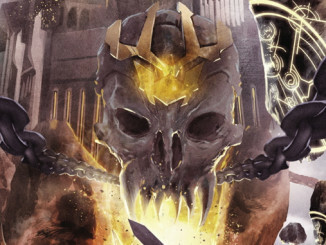 I admire a lot of colorist who can throw down completely wild colors and make it work though. It’s a difference like that between pencillers. For example you can have a realistict renderer like Jim Lee or a highly graphical artist like Mike Mignola. I think certain stories work better with certain types of art, so finding the right visual voice in the linework and colors is very important. 5. Was there one character you were most looking forward to including in this story? 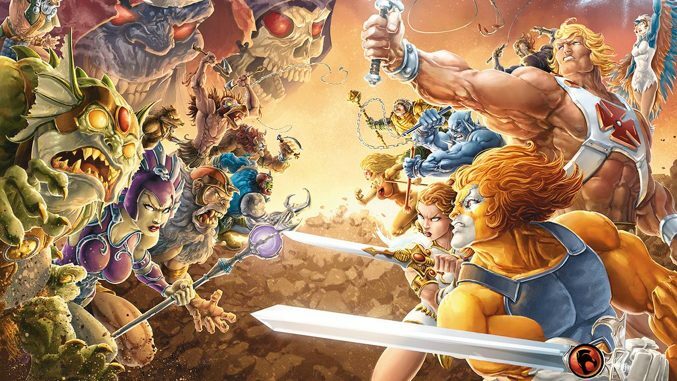 Did you have a favorite while working on ‘He-Man/ThunderCats’? I was a very dark child. My favorite characters were often the villains and that was true for these properties, too. 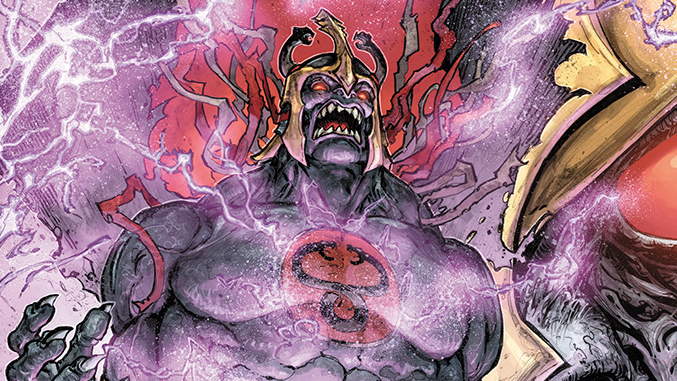 I love the pages I get to do with Mumm-Ra and Skelator. 6. Where can our readers see more of your work? I have a healthy (or unhealthy depending on POV) online presence. I’m mostly on Facebook due to the fan interactions I tend to have there, but I’m also on Twitter, Tumblr, Instagram, YouTube [speed paint videos of me coloring], and Reddit. I have a website, colwellillustration.com, but it’s woefully out of date. I hope to redo it this fall and have it back to active by January. 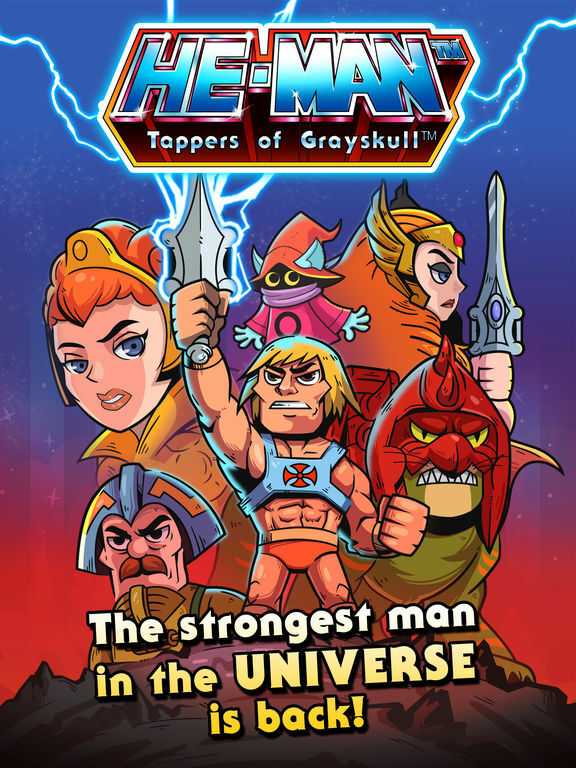 Thanks again for the interview, and I hope you all continue to enjoy the He-Man/ThunderCats series! 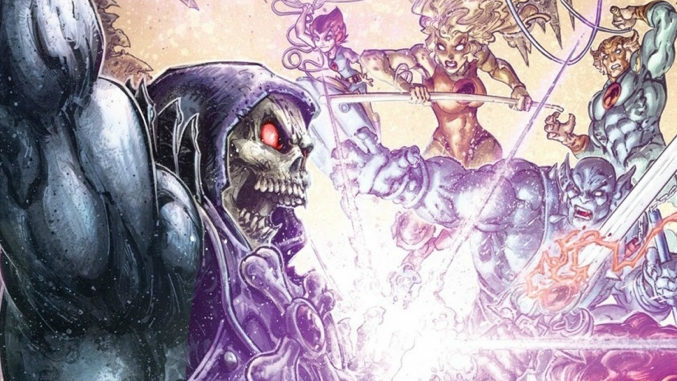 HE-MAN: THE ETERNITY WAR #15 – On Sale Now!